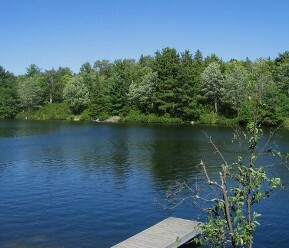 The Waterfalls Lodge is a Fabulous Northern Ontario Fishing Experience for All! As part of my plan to spend my summer vacation from teaching out of the house, I gave myself a fishing trip as a combination birthday and Christmas gift. That may sound a little “fishy” to some of you, but I have always wanted to learn to do some serious lake fishing after years of deep sea and trout fishing. Although I can make some claims as an accomplished trout fisherman, my last foray was eight years and a triple by-pass ago. Trout fishing is also a lot of work. I didn’t want to spend a week on the Great Lakes or deep sea fishing. I always wanted to be a better lake fisherman, and I heard that Northern Ontario is a spectacular place to fish. I’d never been to Northern Ontario, but it sounded like a plan. As I began my research, I came across some fly-in options that sounded wonderful until I calculated the outlay for against my teacher salary. I don’t have a boat, so I needed a lodge that provided everything. Also, I wanted to be able to drive there and have electricity, a refrigerator, plenty of space, a meal plan and a good atmosphere. I also needed a place suitable for a novice like me. After many dead ends, I was beginning to give up hope when I discovered The Waterfalls Lodge. The end result was that I booked for one week and stayed for an extra week because I was having so much fun. The Lodge and the lakes cannot be described in words, and pictures barely do justice to its beauty. I caught more fish than I could have imagined and learned a great deal. I became friends with Rob and Kathy (the owners), the staff and many of the guests who plan to be back next year. Let me tell you why everyone loved The Waterfalls Lodge so much. I made some of our arrangements online, but also received a phone call from Rob to confirm all the details. Rob allayed every concern I had about being a novice headed into a reasonably-priced trip with some medical needs. Although I hadn’t really fished in a number of years, I packed three rods and my tackle box into the CRV and headed north, The Waterfalls is located in Spanish, Ontario, about one hour west of Sudbury and a little over two hours east of Sault Ste. Marie. I made the drive from southern New York to Spanish, Ontario, in two days. I mistakenly ignored Mapquest and headed north through Buffalo, Niagara and Toronto on the Friday of a holiday weekend in Canada. On the way home, I found that crossing the Canadian border near Thousand Islands and passing through Smith’s Falls and North Bay to Sudbury is a better route. When I arrived at The Waterfalls Lodge, it was just too unbelievable to be true. There was a nice RV/Camper park across from the lodge itself. The marina was beautiful and the sky was a gorgeous blue without a single cloud. Everything was spacious and clean. My cabin had FOUR bedrooms, two full baths, a kitchenette and a living room. I could park right next to the room. Everybody was going out of their way to make me feel welcome. The Waterfalls Lodge gives visitors access to five large lakes. Denvic Lake is to the west of the waterfalls. Tube Lake, Marion Lake, Kecil Lake and Lang Lake (the end of the chain), are to the east and north of the waterfalls. The Waterfalls Lodge is the only lodge on these five lakes. It was a short drive back to Spanish to stock up on wine, soda, water and munchies. I even bought cornmeal, oil and seasonings in preparation for cooking some of the fish I hoped to catch. All guests are treated to a guided tour of the five lakes accessible from the lodge by one of the lodge’s fishing experts. We were totally mesmerized by the natural beauty of the lakes, their remoteness, the quality of the air and the lack of insects. Afterwards, we went to the dining room (or the “Diner” as it is known) for a fabulous dinner. I signed up for the American plan which included a full sit-down breakfast and dinner everyday. The breakfast menu had the same daily choices including pancakes, French toast, a continental breakfast or eggs. I had the Grand Slam everyday: three eggs, three slices of bacon, three large sausage links, a ham steak, potatoes and toast. The dinner menu was pre-planned every night and included soup, salad, a main course with potatoes and veggies, and dessert. Friday night is steak night with your choice of a T-bone steak or a sirloin. The lunches, called “shore lunches,” consisted of a sandwich, soda and dessert packed in a small cooler. You could take it on the boat or save it in the cabin. The lakes had one island with an outhouse and several islands with picnic tables. I actually found it better to fish after breakfast until about 2 PM and then return to the cabin for lunch and a nap. I’d then head out fishing again after dinner. After talking with some of the pros, I think my strategy next year might be to head out fishing at dawn, return for breakfast, fish until about noon, nap, have dinner and come in by 8 PM to get to sleep. The boats were spacious and easy to handle. I got a standard 16 foot boat with a 15 HP engine. I was able to get to the farthest parts of the lakes in about 20 minutes. There were several spots where I caught fish doing nothing fancier than using a 50 cent rig consisting of a snelled hook, a split shot and a worm. I also made the decision to rent a depth indicator/fish finder, and it made a big difference. Being inexperienced and somewhat rusty, I got better as time progressed. I took the package with an ATV trip to another remote lake that was catch and release. Our guide Jerome spent a great deal of time with me. I had a great day, netting lots of smallmouth bass including about ten that were three pounds or more. I wound up cooking a lot of fish to stay within the limits of our licenses, and it made a great, healthy snack. I got really good at filleting bass (a service that the lodge provides but I’m the “do-it-yourself” type). I decided to start releasing the catfish after netting ten (they are a pain to clean). I took home twelve fair-sized smallmouth bass and released dozens less than twelve inches. There were pleanty of nice spots to fish that were quite accessible and easy to set the anchor. The reactions from the “pros” were mostly positive but mixed. We were there in late July and the temperature was usually mild but very sunny with clear skies … not usually the ideal conditions for bass fishing because the water was quite warm. Also, the typical bass lures and plugs were not very effective. The locals and the guides were catching some big pike and bass, even from the dock itself, simply by using worms. The top guns during the first week made some great catches, and they took a guided trip to the Serpent River where they caught some huge pike. There were some impressive catches during the second week as well, but those fish were caught jigging in the very deep water (50 to 60 feet). As I said, I had so much fun the first week that Idecided to stay a second week. I also noticed that my usual breathing difficulties from back home in New York were non-existent. The food was wonderful and I was always full, yet I lost about seven pounds over the two weeks. Rob and Kathy were quite accommodating as I bounced around through three different cabins in the second week (due to booking issues … I stayed where there was an opening), and I eventually had a private cabin with our own private dock (see the picture below). If you are interest in guided black bear or moose huntsin the fall, The Waterfalls Lodgewould be a great place to go. The accomodations are comfortable, the food is good, the service is great and the staff is friendly. If the hunting guides are half as good at hunting as they are at fishing, you’ll have a great hunt. I give The Waterfalls Lodge my highest recommendation. It is a great family vacation and also an ideal spot for couples, even if you are not the most serious fishing folk in the world. When you are on the lake, there is rarely anyone very close to you and feel like you own the entire expanse. One of my enduring memories is when I went out fishing after a brief thunderstorm (the one time it rained during daytime hours). As I headed through the narrows from one lake to another, I entered a mist rising from the water. The sweet aroma of the Canadian fir trees filled the air and you could taste it on your tongue. Besides having fun, I felt rested, relaxed and happy. For those of you who think I am being way too positive, I will give you one negative. Starting at sunset (about 8:30 PM) and ending around 11:00 PM, the mosquitos and other flying insects are out in force and they are on a mission. Even worse, there is no repellant in the world that will keep these vampire bugs away from you. I somehow got a series of mosquito bites on my caboose. I am not sure how that happened, and it was puzzling because I have never had mosquito bites there. I must have not been the only one because everyone seemed to be scratching itches in weird places. But I was told by others that the bugs really do go away after 11 PM. As I drove home, I was very sad. I am going to miss Rob, Kathy, Wendy, Brent and all of the other great people who make The Waterfalls Lodge a very special place. For a short time, we lived a wonderful life and it was the best vacation I’ve ever had. I hope you will click on one of the links to visit The Waterfalls Lodge web site. I have also added my on Waterfalls Page (Click HERE) with our favorite pictures from the trip. If you have any questions, you can call Rob and Kathy at 1-800-666-2812. Tell them “Bob” sent you. Happy trails. We are considering a Canadian fishing vacation for 2008, and Waterfalls Lodge is on our short list. Did you catch a good number of smallmouth bass on the main lakes, or did most of your fish come from the back lake trips? Also, did you fish for, and catch any walleye? Thanks for your input on this lodge, and thanks in advance for answering the above questions. Sorry for the delay on the response. We caught more smallmouth bass than you can imagine on the main lakes. We released at least 20 smallmouths everyday (we tended to go to spots where the fish were a tad smaller). We basically got spoiled and only kept the ones over 18 inches. The one hint I’ll give away is that the smallmouths seemed to like the spots where a solid rock cliff went down deep into the water. Beaver dams are also a good place to fish. The serious folk trolled the deeper waters. I was to relaxed to work that hard! The portable fish finder is exactly the utensil many fishermen need to stop wasting time and start catching fish. The pre-spawn, spawn, and post spawn are some of the most exciting times of year for a fisherman. Yet have you ever noticed that sometimes even in all the hype and excitement something seems to be missing? Yes the experts say these are the best times to catch fish and you just can’t even get one nibble. The agonizing stress and bewilderment only makes your fishing worse from then on out. That’s probably true if the reason you are going fishing is to get a trophy fish or to fill the live well. If the fish aren’t biting, they aren’t biting. It just means you move on to another spot. The best part about the Waterfalls Lodge is that there will NEVER be a shortage of good fishing spots. We went back last summer, sadly for just one week because we were in the middle of moving from New York to New Mexico (with a job change). That week was the only vacation that I had for the past year, and it was the most glorious week that you could have imagined. The boats were better … much faster and more comfortable. All boats have depth/fish finders. The cabins were just as fabulous. The food was even better … something that I thought was impossible. The lakes are still the most beautiful, peaceful, serene and enjoyable place that I know on this planet (I have traveled substantially). Rob and Kathy are two of the most special souls that I have ever known. They are sincere, honest, warm and caring. You will not find two better hosts anywhere. The fishing … my wife caught several huge northern pike and several walleyes. I had a northern pike rip the pole out of my hands. Conditions for fishing change … if you are only interested in hauling in thousands of fish, that may or may not happen (unlikely since there is so little fishing pressure and miles and miles of lakes). The guides are knowledgeable and friendly. For us, catching the fish was a bonus. We don’t have a boat and, as teachers, we just like getting to the outdoors. I give Waterfalls my highest recommendation. This is perhaps one of the most important questions you have to answer in case you are looking for the best device to improve your catch – figuratively speaking, of course. Fish finders are wonderful fishing tools to invest in and it does not matter if you are fishing for a living, or doing this as a sport or simply as a way to pass the time. GPS fish finders are amazing devices that take away the hassle of hauling in your catch during your fishing expeditions. There is a great variety of GPS fish finders today.When it comes to solid quality, reliability, performance, and value, GPSl fish finders are what you need for a clear nagigation. GPS Fish Finders gives you a picture that you can react to, meaning that you can see what type of fish are down there, the type of structure and even the size of the fish so that you can react and do what you need to, to get the big catch on board! My pleasure, Rosalind. For a real break, make sure to visit The Waterfalls. As a teacher, I can appreciate how hard you are working right now, but a trip to Waterfalls will start a lifetime of wonderful vacations whether you are single, married or with a gaggle of kids. Stumbled upon your webblog via msn the other day and absolutely think its great. Carry on the excellent work. Thanks Val. I really miss Waterfalls but, as I am on the road to being single again, I bet I’ll be there in 2011. I would like to thnkx for the efforts you have put in writing this blog. I’m hoping the same high-grade website post from you in the upcoming also. Actually your creative writing skills has encouraged me to get my own site now. Actually the blogging is spreading its wings quickly. Your write up is a good example of it. My pleasure … I miss being there SOOOOOOOOOOO much.